The striker has won the SkyBet League One Goal of the Month Award for January. Ellis’ strike against Doncaster won the fans vote, beating competition from Alex Mowatt and Richie Smallwood to win the accolade, with Harrison’s goal receiving 43% of the public vote. 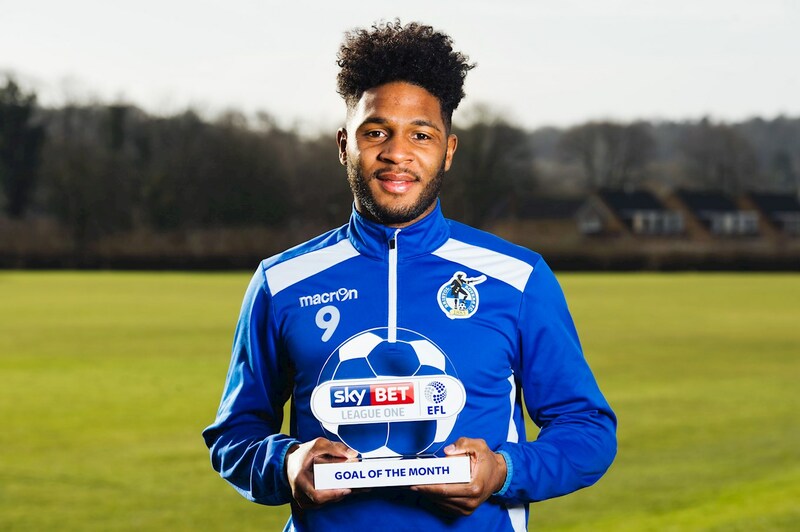 The striker, who scored his eleventh goal of the season during Saturday’s win over Oxford United, was presented with the trophy on Thursday at the Club’s training ground. With his Rovers under late pressure at the Keepmoat, Harrison delved into his reserves of energy to sprint 60 yards with the ball, leaving defenders in his wake, then driving his shot into the far corner.